A new indie publishing company run by an architect and a graphic designer presents its first publication — a visual exploration of giant letterforms in the city landscape. The Big Letter Hunt is the first book by a new indie publishing house in London, Tower Block Books. Living up to it's name, the book is a visual tour of east London architecture, picking out letter-shapes in the fabric, facades and structural features of buildings. Each letter is given a beautiful treatment, produced as a two-colour Risograph print, indeed limited edition prints of individual letters are also available. Graphic designer Amandine Alessandra and architect Rute Nieto Ferreira conceived the project in response to their children's burgeoning interest in the alphabet, which led to a game spotting letter shapes in the buildings on a favourite walk on the Regent's Canal. Working on The Big Letter Hunt in earnest, the pair took walks through the Barbican, the City, Spitalfields, Haggerston, Hackney Road, Globe Town, Bow, Mile End and Whitechapel to photograph buildings. There are some easy-to-spot local landmarks like Dennis Lasdun’s Keeling House and the Gasworks on the Regent’s canal, as well as local primary schools, blocks of flats and a library. Local residents might well get a kick spotting sites in their neighbourhood. 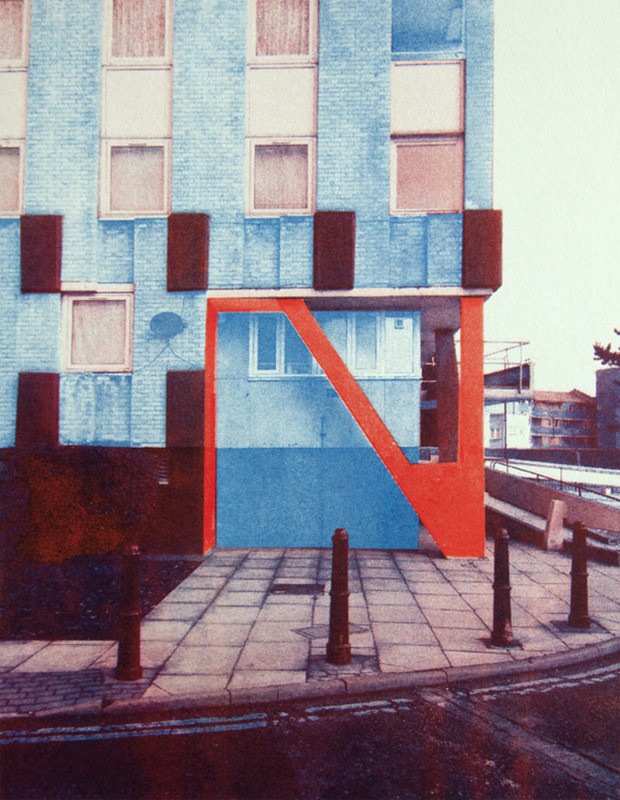 Books and prints are available to buy from Tower Block Books.